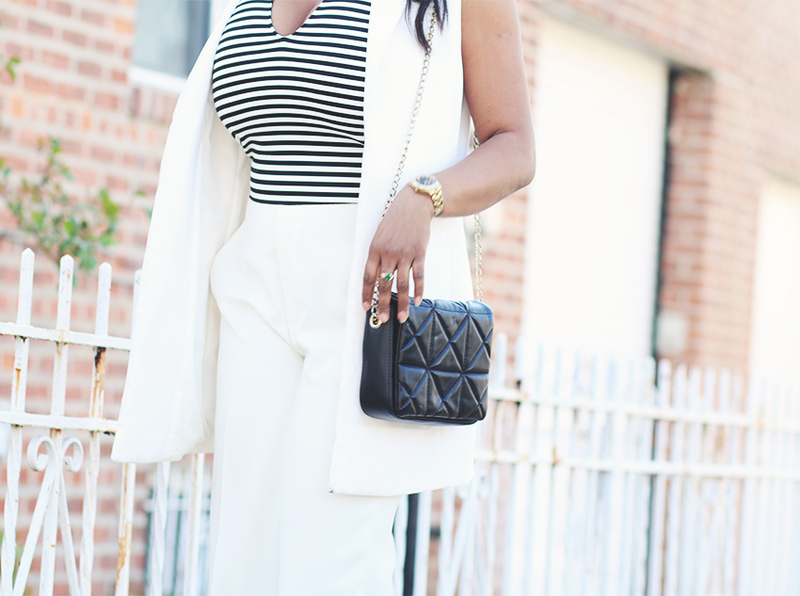 This white sleeveless blazer is a spring/summer staple. I wore it a lot last year and still remains my go to piece to layer over a sleeveless top or dress. If you're are like me,you can never go without a bra unless it's to bed. A sleeveless blazer is needed for those strapy tops and dresses.